I'm Bongani Bilankulu original from a village called Thomo, Its 13km outside Giyani town in Limpopo. I grew up playing soccer, volley ball and cricket when I was in high school. I work for National Department of Agriculture, Forestry and Fisheries, currently studying with SBL since 2016. My job requires me to travel and I always have my running shoes in my travelling bag. I always try to create a balance between work, school and running. I develop a study program and plug it on the front door of the fridge, I wake up in the early hours (4:30am until 6am) to study while my mind is still fresh. I will then prepare to go to work between 6am and 7am, I am in the office until 4:30pm. I then go for training in the afternoon and sometimes use my lunch time for training. 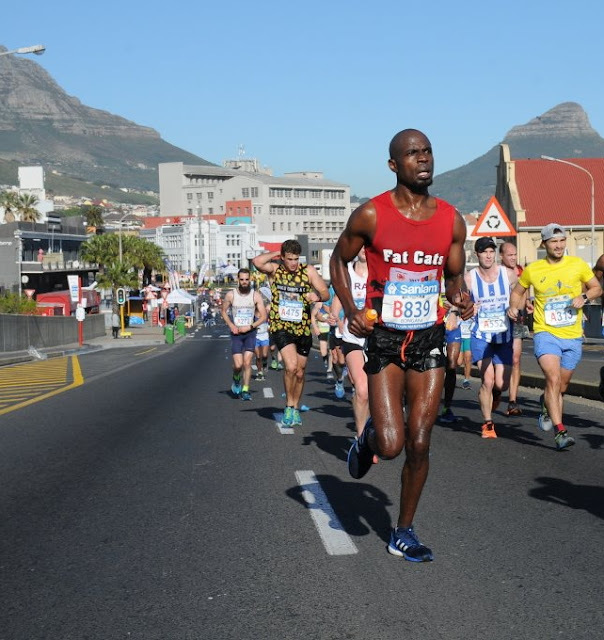 I usually train from Monday until Thursday, rest on Friday and conclude my weekly training on Saturday and Sunday, if I am not going to the race. I also make time for my daughter on weekends. I started running in 2012 after a horrible hand injury at the soccer match in February 2011. I started running because I wanted something to keep me away from playing soccer. I always try to keep myself motivated by setting myself targets. I have short term and long term targets. I also have a group of friends which I train with. They also motivate me to go to training. 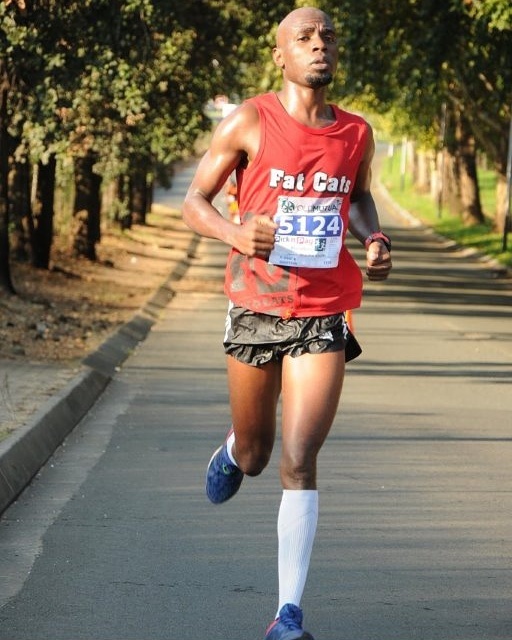 I always try to run for a purpose, since I started running the comrades marathon in 2014 I have been raising funds to buy school uniform and I also been involved in various adidasZA charity projects. Running also changed my life when lot of things seemed not to be going well in my life, running kept me sane. I always tell people that things have changed and for us to keep active we have to exercise unlike in the olden days where the standard of living was indirectly forcing our parents to exercise. The 10km night city race in Berlin, I have never seen a flat route like that and I ran my first 10km sub 40 minutes there. 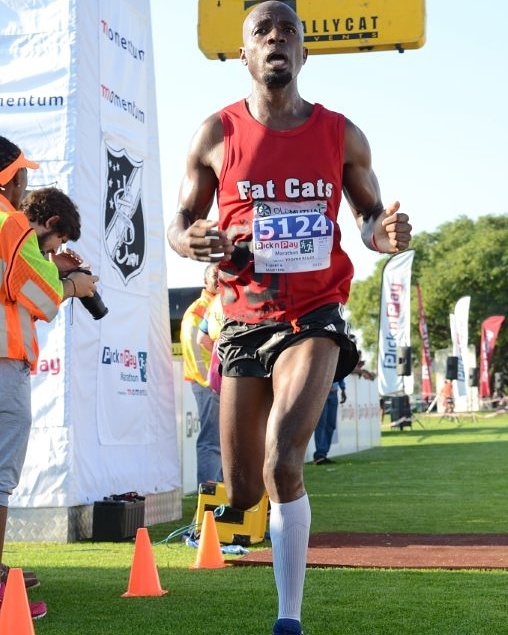 Nelson Mandela marathon in 2015, I went to that race with minimal training due to an injury. The wheels came off after 30km and I had to walk to the finish line. Lace up and go for that run. You can start by running 5 km three to four times a week. You can apply the run walk strategy, run for a km then walk the next km. You can do this until you get comfortable with running for 5 km without walking. They can also try to find the running group around their areas. They should try to avoid running with ear phones and gadgets because it can put their lives in danger.